Forgive us, we missed sending out the monthly email last month. We have been busy working away to bring you some new products, create a catalogue and preparing for our first show, more details below. Good News Everybody!Our first catalogue is currently being printed. We should have it in a week or so. If you would like a free copy posted to you just get in touch. After dabbling with Pen Turning recently we have added 4 guides on using the various types of Pen Kits from Rotur to our tutorial section. Another one of Ed’s projects has resulted in his “Pot of Gold”. 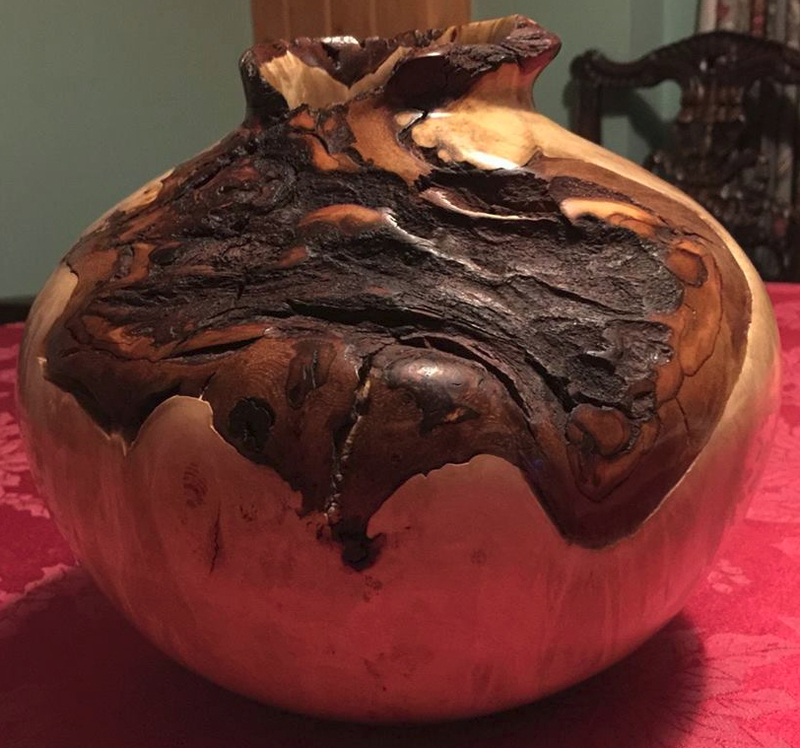 An interesting effect inspired by a demo from BJ Norman at The Garden of England Woodturners club.He has revised his method a few times and the result was the item you see to the left.You can read it here. If you would like to see the results of the various stages of the development of this process you can see them on our Facebook page. You will also see many more of Ed’s creations such as this Horse Chestnut Burr Hollow Form. Join us!! Our forum needs more members to ask questions, share ideas and show off. The 6th and 7th March sees the bigger than ever show at the Kent County Showground at Detling, near Maidstone. This is its 4th year and there will be a mix of demos, stands and activities. Entry costs £8 at the gate or £6 in advance for one day or both days for £12 or £8 in advance. Under 16s get in free of charge. You get free parking, showguide and entry into a raffle. Olivers Woodturning will be there with a stand. Please stop by and say hello. We are working to bring you some interesting items and of course, Ed is always ready to talk anything Woodturning. While you are there why not enter our raffle to win a Robert Sorby 67HS 6 Piece Tool Set. Taking place on the 27th and 28th or March at the Newark Showground this promises the same events and activities as the South East show mentioned above. Prices are also the same. 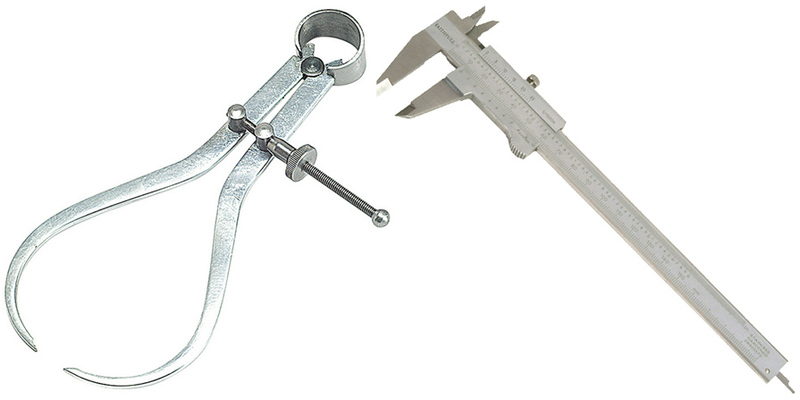 We have just added some new tools to help with your precision measurements. Outside Spring Calipers come in a range of 4 sizes from 75mm (3in) to 200mm (8in) and the Vernier Caliper opens to 150mm. We recently added another Record product to our range. 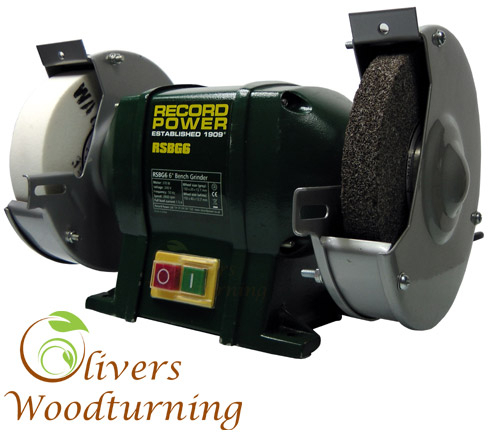 Fitted with a 370W motor this Record RSBG6 Bench Grinder runs smoothly and quietly. Record give a 5 year guarantee. Fine grit 40mm wide white stone. These mugs are helping to keep the Woodturners of the UK fuelled and warm. We will send one to you free of charge with your first order, we even pop in a tea bag. 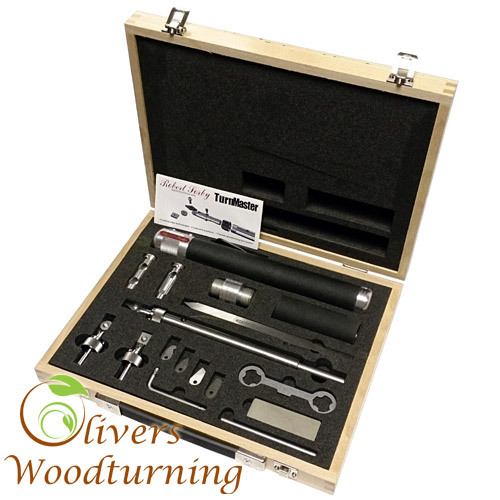 This month our exclusive savings code is for the Robert Sorby SOV-RSTMDBS Sovereign Turnmaster Set, add code CLUBTURN10 at the checkout and receive a 10% discount on this fantastic set of popular tools. You can see the full info on this set by clicking here. You have reached the end of issue 4 of our newsletter. One of the projects we have been working on is to increase the range of wood blank types we carry. Though not on the website yet, we currently have an amount of Oak Burr in stock. Please get in touch and ask about our current stock. 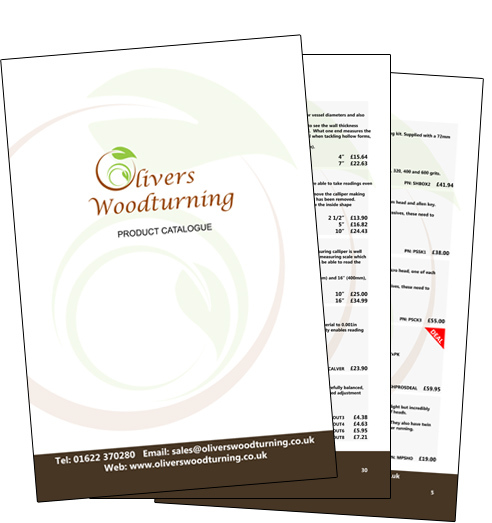 Ed looks forward to seeing many of you at The South East Woodworking & Powertool Show in March. It should be a great 2 day event.